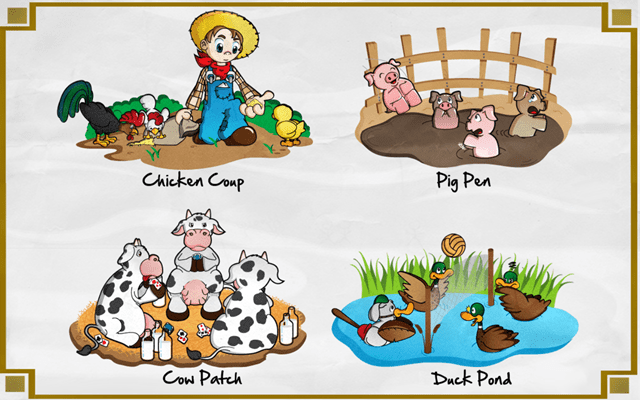 Barnyard Mahjong is a free Windows 8 puzzle game app which will befuddle your mind with its puzzles. This game for Windows 8 consists of various levels with increasing difficulty. Lots of you guys have played Mahjong on their system or on vintage video game. 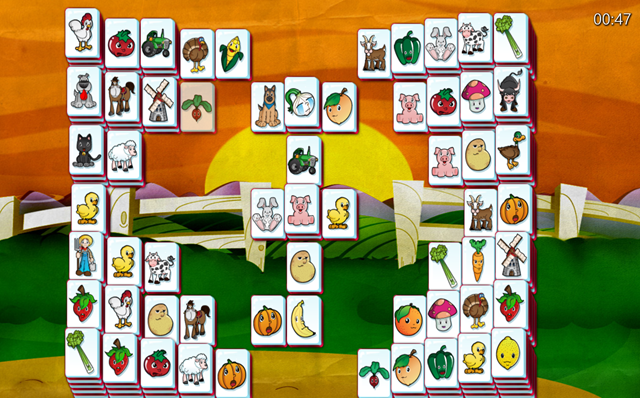 But now, Windows 8 presents you a new style of Mahjong with a great theme of farms and yards, which provide you a whole new experience and fun while playing this mind wobbling puzzle game app for Windows 8. There are a number of rules and regulations you have to follow while playing this free Windows 8 game. It’s quite an interesting and fun to play game with a little bit of twist and turns. You just have to sort out the cards by simply matching the exact same pair. And you have to solve it in a minimum time. These are the choice of the cards organization you can choose to play which consist of various arrangement of card which you have to resolve by matching the like pairs. In this free Windows 8 app, there are some rules to play this Windows 8 puzzle game app. As you can see above that the cards are placed in an order like in an ascending or descending order. And, you just have to pick a card and match it to the similar card but, you can’t just pick any card. You can only pick a card from the corner which is above on the stack. You can’t pick a card which are on the same place horizontally, you have to pick the card which is in the corner. So , besides all these rules, it’s a very fun kind of Windows 8 puzzle game and you will definitely love it. Achieve your score by completing the grid within a minimum time. Know how to search an app in Windows 8 store. Install this cool game app for Windows 8 on your Windows 8 desktop and have fun with it.